Blogger's Blockapalooza Blocks are finally finished!!!!! Normally, I am the type of person that can stop reading a book if I am not enjoying it- but I really felt that I should finish this project especially given that I had already bought the 5.25 backing fabric required. I also didn't want to wimp out and have a useless baby blanket. It probably would've helped if I had chosen fabrics that I was more in love with. 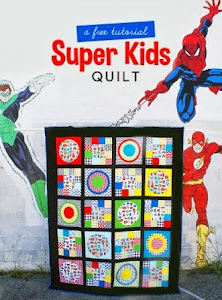 Someone made this quilt with City Weekend fabrics and I love their version. Now I need to decide how I will lay these blocks out. There are two options I am considering: 1. I can sash the blocks with a neutral and put cornerstone squares at the intersections of the squares. Or I can frame them around a large piece of the large owl print that comes in the Hushabye line. 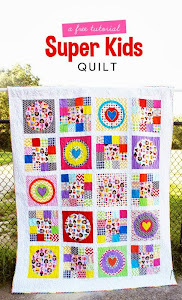 I am going to figure it out ASAP so that I can get this baby quilted and bound! My HT order arrived this week. I mainly chose boy prints from the new collection, Children at Play. I couldn't resist a few of the girly ones - I think the hopscotch one is my fave. Finally, my sister treated me to some goodies at the Fabric Corner. I chose some Echino, Pooches and Pickups, and the last one is another HT find - the London subway system! I can't wait to finish some of my ongoing projects so that I can cut up these new goodies. I promised you all that I was doing some sewing and not just spending all of my time fabric shopping! I have been working on several different projects. I hope you all don't get sick of these blocks - I still have 61 to go. I hope no one minds that I have a fabric Friday post scheduled for tomorrow - I am always one that enjoys knowing what bloggers like and it can be a good way to know about newly available goodies. Plus I love to see pictures of fabrics rather than the screen image provided by the manufacturer - a real photo provides a real understanding of what the fabric really looks like! Finally, I've said it before and I will say it again: I am decidedly more obsessed with fabric than I am with sewing! I apologize for all of the "fabric only" pictures lately - but I promise lots of sewing is getting done behind the scenes. Yesterday was my birthday and I received lots of goodies. Including a few random cuts from fabric.com: left to right: Kumari Garden, Haven's Edge, and Ready, Set, Go: I also asked for a huge cut of Kona Nightfall to use in making a giant spiderweb quilt with Loulouthi fabrics. My verdict on Loulouthi? It's AMH's best collection yet! 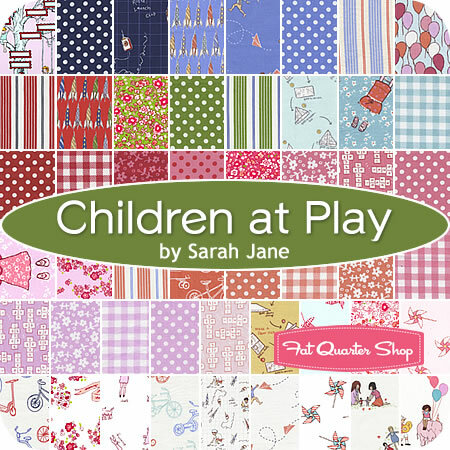 With some birthday money, I just ordered several cuts from this collection: Children at Play by Sarah Jane for Michael Miller fabrics. I was browsing Hawthorne Threads when it popped up, all of the sudden, that this collection was available. I felt like I was trying to buy tickets to a soon-to-be-sold-out rock concert - the pressure on what to choose was intense. I guarantee that these prints will be gone from HT by the end of the weekend. I love HT, but I wish that they weren't so stinking popular - hardly anything stays in stock. Now, I need help on deciding what to use the rest of my birthday money on. 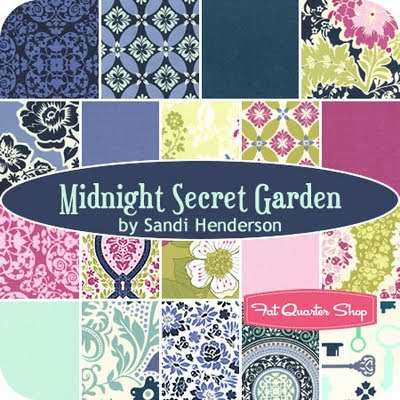 I thought I would be able to pass on Sandy Henderson's Secret Garden collection - (my trepidation was linked to surprise at how different this collection is from her previous lines) but I am in love with these gorgeous prints! And finally, I am DYING for Joel Dewberry's newest, Heirloom. There are three colorways of this collection too and I don't know what to get either. Most people online are going nuts for the aqua/orange combos - which I love - but the deep reds and purples are calling to me as well. 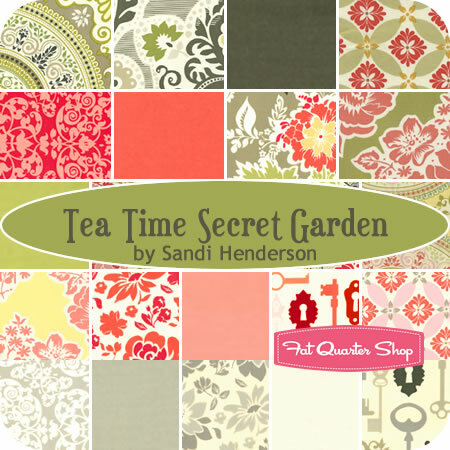 Secret Garden and Heirloom are set to be released any day now. They both have something like 60 different prints each! Images courtesy of Fat Quarter Shop. A friend treated me to some fabric (as a thanks for doing her a favor) last week and I have to say that I love, love everything I came home with. We met up at Gather Here in Cambridge, MA. They are having a sale right now to make room for fall collections - so we took advantage. This first fabric on the far left is my most favorite - ohmygosh - I want to make everything with that fabric. It's a print from Valori Well's newest collection, Wrenly. There are lots of colorways - but I love the rainbow-ish version the best. Next is a Modern Workshop print, two prints from Zoo Menagerie, Kumari Garden floral, Kokka Little Mermaid, and an AH stripe. I bought myself a little treat too: these fabrics are so girly (thanks to the pink and purple) - so I can only hope a friend who's expecting will be having a girl. These are also Zoo Menagerie. If you happen to be in the Harvard area, run, don't walk to Gather Here. It is easily my most favorite fabric store in the New England area. Last Saturday's yard sale exploits were modest but good. Nick and I stopped at a church-run thrift shop in Tyngsboro and I picked up 7 of these wooden hoops. 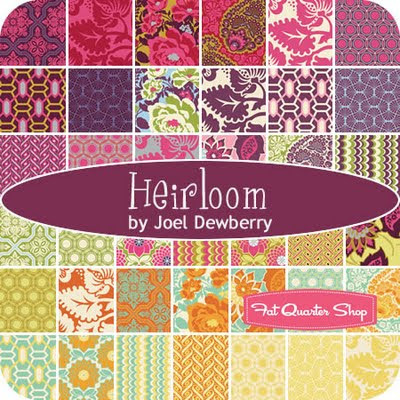 I plan to frame pieces of my favorite fabrics in them, like this. Any local friends who want me to pick some up for you? Just let me know - I plan to go back and get more. In the same store, I found this picnic-inspired 5 yard piece made by Robert Kaufman. It doesn't have any kind of date on it, so I have no idea how "retro" it really is. I also couldn't resist the 4 yd piece of gray floral fabric on the right. The latest update on my machine is that I picked it up last week and the guy wasn't very pleasant and definitely defensive. I was never rude to him or his staff- I just had to be "matter of fact" when it came to telling him that it appeared he didn't do what I had paid him to do. He blamed all of my problems on a bent needle. I didn't want to argue with him - so I just took my machine and got out of there. Today I brought the machine back to the Janome dealer who confirmed what I had tested at home: the 1/4" seam is now accurate (yay!) but only the straight stitch works - no zig-zag, no decorative stitches, no nothing. I feel like I have a big paperweight - even though I know that I rarely use anything but the straight stitch. I have to admit that buying a new machine has been germinating in the back of my mind for a while - but that is not going to happen until I raise the funds. Anyway, like a lot of bloggers, my sewing and blogging tends to slow down in the summer - there's too much fun to be had when the weather is favorable. Still, I am attending to a few projects. The last of my Hip 2 Bee Square blocks are trickling in, I can't wait to finish this thing. Cutting dresden plates for my Dotty for Dresden quilt has gone much more quickly than I had anticipated - thank goodness. My African Heart quilt needed 600 fans, this quilt needs about 480. Using the Nifty Notions wedge ruler really speeds things up. It has been a real struggle to decide which fabrics to use for this quilt. I know it might sound pathetic, I am just SO in love with Sarah Fielke's original - that I almost wanted to do an exact duplicate of hers. But that's pretty much impossible - so I am just trying to mirror what she did. In digging through my stash, I have chosen green, blue, orange, purple, and pink fabrics that are (relatively) small in scale and have especially favored reproduction-ish fabrics like KJR and FMF. Fielke did not include purple fabrics in her quilt - so at least I am stepping out of the box a little. After all of these, I still have about 100 left to cut. I know it's a cardinal rule of good sewing blogs to provide numerous tutorials to one's readers. It's just that I am not all that original to come up with all new designs and ideas- and I am not a fan of reinventing the wheel. (Binding tutorial anyone? I am sure there are at least 100.) But I am proud to provide you with a new way to piece batting together that won't make you tear out your hair, require hours of hand-sewing, or nearly ruin a queen sized quilt (not like I speak from experience or anything). Go to Joann's and buy some interfacing for knits - I found a link here, to give you an idea of what should work. I bought a yard and used my coupon, so the cost was a little over $2. Cut your interfacing into strips 1.5" wide like this: Now- simply place the strip of interfacing over two pieces of batting that are butted up against each other. Iron it in place. Keep ironing strips to join the pieces together - overlapping the strips a bit when you are starting with a new piece. The instructions which accompany the interfacing suggest the use of a "pressing cloth" to adhere the interfacing - I found that this was completely unnecessary (thank goodness - throwing a wet rag on batting doesn't sound like a good idea anyway). For my Improv quilt, I put strips of the knit interfacing on the back of the join as well - just to be extra thorough and because I had so many pieces leftover. It's probably sturdy enough with one layer though. So, I have to say that I didn't really "make up" this idea - I had seen ads for "batting tape" in the back of quilting magazines that cost about $15 a roll. If I am going to spend $15 just to fiddle with a bunch of batting scraps, I might as well just buy new batting - queen sized runs about $23, you know? But for a little over $2 - it's much more economical (and easy!) to piece batting scraps together and it's environmentally friendly, right? Plus you might not be so plagued by batting pieces all over the house - feeling consigned to make bibs and mini quilts just to use them up! Update on my machine: I brought my machine back to the guy who "cleaned" it 5 weeks ago. He wasn't in the shop so I explained the situation to the lady and the guy called me the next day. It was an awkward conversation but I tried to stick up for myself. The only way to truly prove he didn't clean it would be to open up the machine and see if he did the really "deep cleaning" that I paid my hard earned $70 for. He contradicted himself - saying he didn't remember my machine and later claiming he'd "fixed something specific" (not true). I am in a weird position here - he already has my money and there's a small possibility that he really did clean it - but I had to go with my gut and the opinions of three other sewers who were aghast at the amount of junk just in the bobbin case alone. I told him all of the problems I have with it and told him I wasn't in a rush to get it back - I just need to have the service I originally paid for. Not going back to him next time, obviously. While I wait for my machine, I have been tinkering with my Elna and getting lots of cutting done. This picture shows my pieces for my rendition of the Strips and Bricks quilt: I am using 4 neutrals, 5 reds, 5 blues, and 14 grays/black & whites. The cutting and preparing of my Mendocino clam-shell quilt is going very slowly. I am doing the super circle technique to turn the edges under and it doesn't help that it's so humid and the ironing of the edges sometimes comes undone - even with lots of starch. Today I am going to start cutting my Dotty for Dresden quilt - I hate cutting so much but when your machine is in the shop - you've still got to get something done! Here's an online fabric shopping tip for you: search "destash fabric" on etsy and you may come across some real gems. I made the (mistake?) of doing this last week and the lovely package from TheDestashSquid came on Wednesday. These are some of my faves: Jack and the Beanstalk, Hippos, architecure drawings, and Lush woodgrain. It's hard to tell from the picture, but those sheep on the right are awesome. The wolf wanting to eat them is even more crazy awesome.